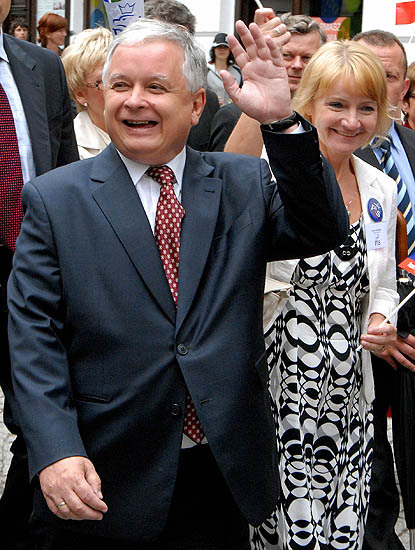 President Lech Kaczynski and his wife, Maria died in a plane crash an hour ago along some of the country's most prominent military and civilian leaders while coming in for a landing in thick fog in western Russia. According to Russian and Polish official, no survivors were been found. There were about 132 passengers including the president. Besides of the Poland's president and his wife, chief of staff of the Polish army, deputy foreign minister, army chaplain, head of the NS Office, deputy parliament speaker, civil rights commissioner, two presidential aides and three lawmakers died in the plane crash. For more info, watch out the news on this below video. may them rest in peace.